HomeFitness EquipmentsAsthma Spray – Which are there and how are they used correctly? There are numerous asthma sprays, because you can quickly lose track. To make sure that does not happen to you, RXShopMD.com has summarized the most important information about the various asthma sprays for you. For asthma patients, various asthma sprays are possible. There is a seemingly endless list of drugs that work differently. But the multitude of asthma sprays does not seem so confusing, if you know that they can be assigned to two main groups: the so-called controllers and relievers. 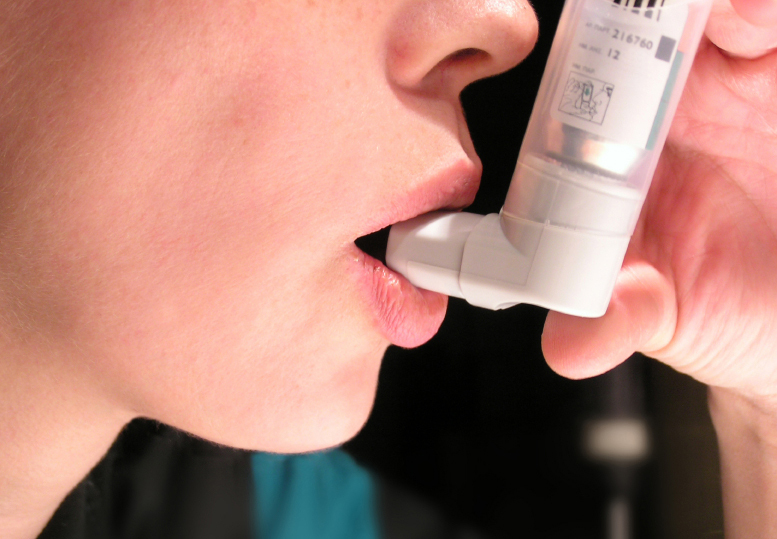 Controllers are asthma sprays that are used as long-term medications. They suppress the chronic inflammation of the respiratory tract and thus relieve the swelling and mucus formation in the bronchi. As a result, these asthma sprays cause asthma attacks to be less frequent and less severe. Relievers are so-called beta-2 mimetics or beta-2 agonists. These emergency or on-demand asthma sprays contain adrenaline-like substances that relax the cramped muscles of the bronchi. This expands the airways and makes breathing easier. Through this effect, relievers are also called bronchodilators. In addition, they contribute slightly to the removal of the mucus. Since the effect already occurs within a few minutes, these asthma sprays are suitable as emergency medications against an acute respiratory distress. As a long-term asthma spray they are unsuitable because they only fight the complaints and not the inflammation. So they do not affect the asthma itself. With very frequent use, it can also happen that the bronchi on the one hand be sensitive to external stimuli and on the other to get used to the spray, so that its effect wears off. However, this does not happen when relievers are used as needed only when needed. The adrenaline-like substances, however, can lead to side effects. These include tachycardia, tremors, restlessness and insomnia, but do not last long. If the drug enters the bloodstream through an overdose, it can lead to metabolic changes such as hypoglycaemia and mineral deficiency. Combi preparations contain agents of the controllers and relievers, ie cortisone and a beta-2-mimetic. These include Viani, Foster and Inuvair. Who needs which asthma spray? Depending on the severity of the asthma, various asthma sprays are displayed. The organization GINA (Global Initiative for Asthma) has created a step model, according to which the therapy with asthma sprays is aimed. Anti-IgE: immunoglobulin E, omalizumab. In case of severe allergic asthma every 2 to 4 weeks injected by the doctor. Prevents long-term allergic symptoms. Powder inhaler or metered dose inhaler? Which asthma spray is useful when?